Cecilia and Betty are award winning realtors who are recognised nationally for their achievements at the Harcourts Group. The Dynamic Sisters Team has over a decade of real estate experience behind them and they are members of the Diamond Pin Multi Million Dollar Sales Club. Cecilia and Betty are sisters who are passionate about real estate and together they offer their clients with the two most critical skills in the property industry – Marketing and Finance. Cecilia’s background is in Marketing and she was a graduate from the University of Auckland with a Masters Degree with Honours in Commerce specialising in Marketing, International Business and Consumer Behaviour. Her strong background in marketing enables her to advice her clients on effective marketing strategies to best maximise the market exposures for their campaigns and achieve top dollar for their homes. Betty is a New Zealand qualified Chartered Accountant. She also holds a Business Degree from the University of Auckland. Her strong financial background has provided her with one of the most important yet lacking skills in the real estate industry; the ability to consult her clients on property investment matters and effectively close deals towards the final stages of all sales negotiations. Growing up in New Zealand with their Asian background, they have the essential people skills to not only communicate with customers with different ethnic backgrounds but also understand the cultural differences between the eastern and the western worlds. The dynamic sisters speak a wide range of languages and dialects including English, Mandarin, Cantonese, Hokkien and Foochow. Such multi-lingual skills have proven to be highly beneficial in the current real estate environment where we live in a culturally diverse community. Their multi-cultural background combined with their multi-lingual skills provides this dynamic duo team with the unique ability to bridge the cultural gap in the real estate industry. Cecilia and Betty’s approachable personality and sense of humours are infectious wherever they go. They exhibit professional integrity and honesty in all aspects of their roles. Excellence is the least that the sisters strive for in everything they do and this is clearly shown in their successes in life and the results that they have achieved for their sellers. For those who are fortunate enough to have experienced their services and professionalism will agree that they have selected the very “Best Agents” to market their property. 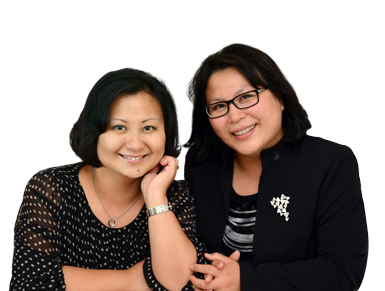 Together Cecilia and Betty form a team that is commonly known by their clients as “The Dynamic Hii Sisters in Real Estate” striving to provide their clients with first class service that is second to none. Go for success with The Dynamic Hii Sisters Team. We can make your real estate dreams come true.